Jacksonville Beach Assault and Battery Lawyer for Self Defense? When a person is arrested for Jacksonville assault and battery, there is usually more to the story that what is written in the Florida police report. Many Jacksonville assault and battery cases begin with some sort of verbal altercation that becomes physical. Jacksonville assault is different from Jacksonville battery. Many people think that if you are arrested for assault in Florida, you have hit someone or struck a person somehow. That is not correct, because assault and battery are not the same thing. In Florida, assault is usually a threat with the apparent, immediate ability to carry out the threat. If you commit assault in Jacksonville, you did not touch the other person. Jacksonville assault is defined under Florida statute 784.011. In Florida, battery is different from assault. Jacksonville battery occurs when you actually touch or strike the other person. Jacksonville battery is defined in Section 784.03. A Florida battery can become aggravated battery in Jacksonville if the defendant intentionally or knowingly causes great bodily harm or permanent disability or disfigurement, or he or she uses a deadly weapon when committing the aggravated battery. Jacksonville aggravated battery can be found in Florida Statute 784.045. A Jacksonville simple battery is a misdemeanor charge, while aggravated battery is a felony in Florida. On Saturday, James Alonzo Hines was arrested in Jacksonville Beach for Florida aggravated battery with a deadly weapon. 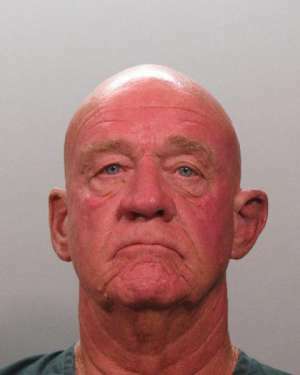 Yesterday, the Florida Times Union reported that the Jacksonville Beach Police arrested a 61-year-old Jacksonville man for aggravated battery with a deadly weapon. He is was arrested for Jacksonville aggravated battery, because he has been accused of “slamming his golf cart into a group of bachelor partygoers and then whacking one with his golf club, leading to a brawl ended by other stunned golfers and police.” The Jacksonville aggravated battery occurred at the Jacksonville Beach Municipal Golf Course. As a Jacksonville aggravated battery lawyer, there is something suspicious about this Florida battery case. It appears that the victims of this Jacksonville aggravated battery were part of a large group of young men. The Jacksonville criminal defendant is a 61-year-old man. The victims were part of a bachelor party in Jacksonville Beach, Florida. As stated above, the men stated that they were not intoxicated while playing golf in Jacksonville Beach and when the Jacksonville battery occurred. However, as a Jacksonville criminal defense lawyer, I know that there is a difference between “intoxicated” and “under the influence” and the influence that alcohol has on a person’s ability to make decisions. Also, it is the alleged victim stating that his group was not intoxicated when the aggravated battery occurred in Jacksonville Beach. We have yet to hear from Hines’ Jacksonville Criminal Defense Attorney. According to the media reports on this Jacksonville beach battery case, neither Hines nor the Jacksonville Beach Municipal Golf Course have comment on this Jacksonville aggravated battery with a deadly weapon arrest. I believe that there may be a Jacksonville self-defense argument in this Jacksonville battery case. Due to the Trayvon Martin and George Zimmerman case, Florida’s self-defense laws, such as the Florida Stand Your Ground Law, have been all over the news. It will be interesting to see if this Jacksonville Beach arrest brings another Jacksonville self-defense case or Florida Stand Your Ground law debate. If you need to talk to a Jacksonville self-defense lawyer with questions about a Jacksonville aggravated assault or battery case, contact a criminal lawyer in Jacksonville. At 20 Miles Law, you can speak with a lawyer in Jacksonville about Florida self-defense, Jacksonville aggravated assault, Florida battery, or any other criminal law questions.